Hi friends! Let's talk about classroom rules, shall we? If you've ever been in both lower elementary and upper elementary, you know the grades can be quite different! It can be hard to implement a classroom management plan that is effective if you're new to a grade level and have no idea what the age group is like. For example, it's pretty safe to say older kids aren't going to be as worried about moving their clothespin like 6 year olds are! 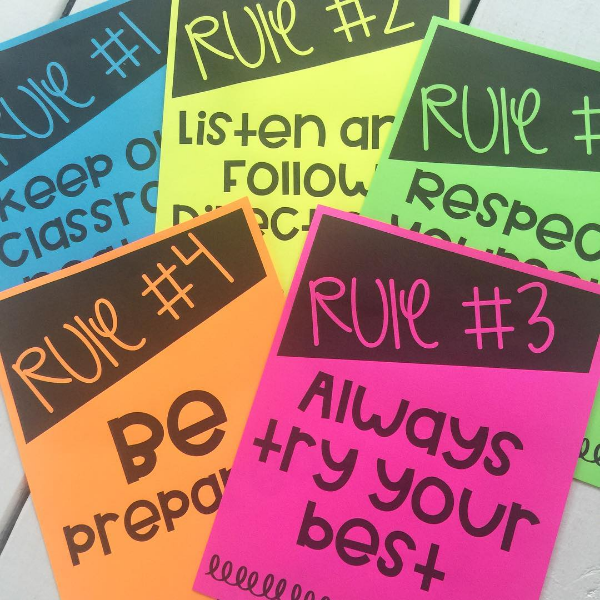 When I started thinking about what an effective classroom needed in order to run smoothly and efficiently, I knew some set of rules that the kids would be required to follow was a must! 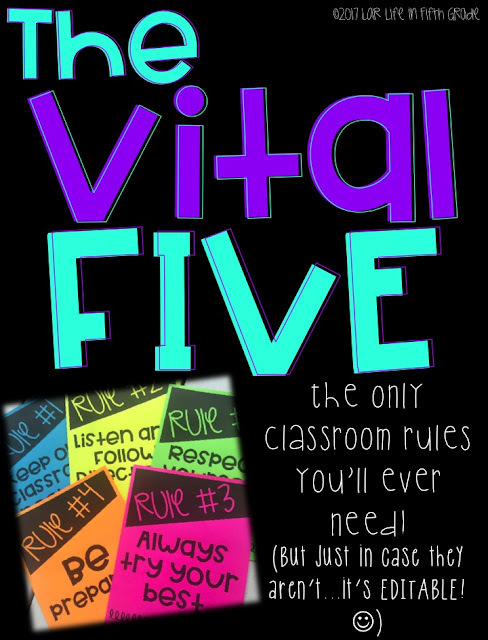 I searched and searched and came up with 5 broad rules that I call The Vital Five. I like these broad rules because they fit in any classroom and cover a wide range of issues. This way they can easily be discussed during the first days of school and the kids can easily follow and understand them. A win win! I hope that following these rules, students can become able to have best ideas to work with the best learning resources. I really like your rules, Leslie. They're short and sweet. I've had a lot of success using some of the Whole Brain Teaching rules (Raise your hand for permission to speak, Follow directions quickly, Make smart choices) and I also add "Keep your classroom positive". Making rules short and to the point make them most effective. I may have to add "be prepared" and "always try your best" from your list! I agree short and sweet is the way to go! Starting Off Class the Right Way!